This book, first published in 1990, takes a critical look at the major assumptions which support critical thinking programs and discovers many unresolved questions which threaten their viability. John McPeck argues that some of these assumptions are incoherent or run counter to common sense, while others are unsupported by the available empirical evidence. 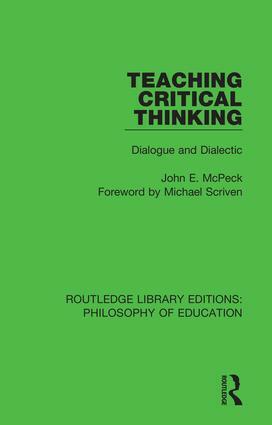 This title will be of interest to students of the philosophy of education. What kind of knowledge will transfer?